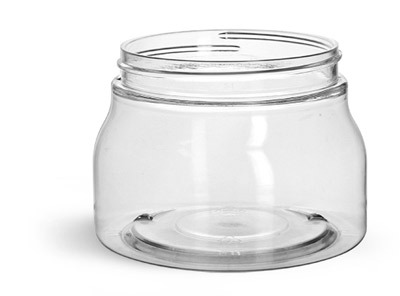 The clear PET tuscany jars are available with your choice of a smooth black dome cap or a smooth black straight sided cap. Both cap options are made of polypropylene plastic and come with an F217 liner. Use these cap and container combinations to package many products such as creams, lotions, body scrubs, bath salt and more!